I'm a graphic designer! I'm always posting photos of my cooking or my adorable dogs, but never really showing you what gets done in my studio and helps buy all that food I cook. 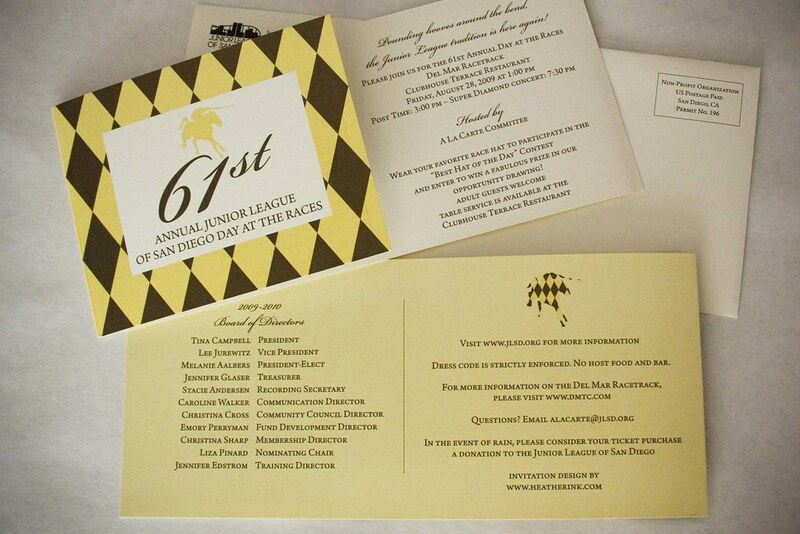 So here are some invitations I finished up last week for a new client, the San Diego Junior League. The invites are for a fabulous day at the Del Mar Races. I just spent some time updating my portfolio, so go take a look!